I was recently lucky enough to take Trafalgar Tours wonderful weeklong holiday in the UK--England and Scotland specifically. The 60-year-old company--currently owned by the highly creative Tollman Family who also run the 16 wonderful, character-laden Red Carnation hotels around the world--give the traveler many options with their tour packages. You can take as many sideline excursions as you want, you can ask for a busy or leisurely travel package--and on top of that, Trafalgar's rep will find packages that match even the cheapest budget. Trafalgar does not include airfare in their packages, but one can get hotel, tours and at least one meal a day in Europe for as little as $1,350 a person/week! Trafalgar predominantly uses four star hotels, but costs are cut for budget travelers but using hotels a little more out of the way but not more than 10 minutes from a town's top attractions. I had never taken a European tour before so I was especially excited; I always booked my own rooms and just roamed about the streets I was visiting freely visiting sites I might have read about in a Rick Steves' or Fodor's travel guide. I was happy to have the discipline of a Trafalgar Tour that had everyone set for a seven am walkup call and ready to have a free breakfast in each hotel and then have two or great excursions planned. My trip started by touching down at Heathrow on British Airways which serves two meals on flights from JFK. In London, I stayed at the Cumberland Hotel on Great Cumberland Place in the Marble Arch neighborhood. Rooms are small but modern with many conveniences including blow dryers and a killer breakfast buffet that rivals that of any other local hotel. 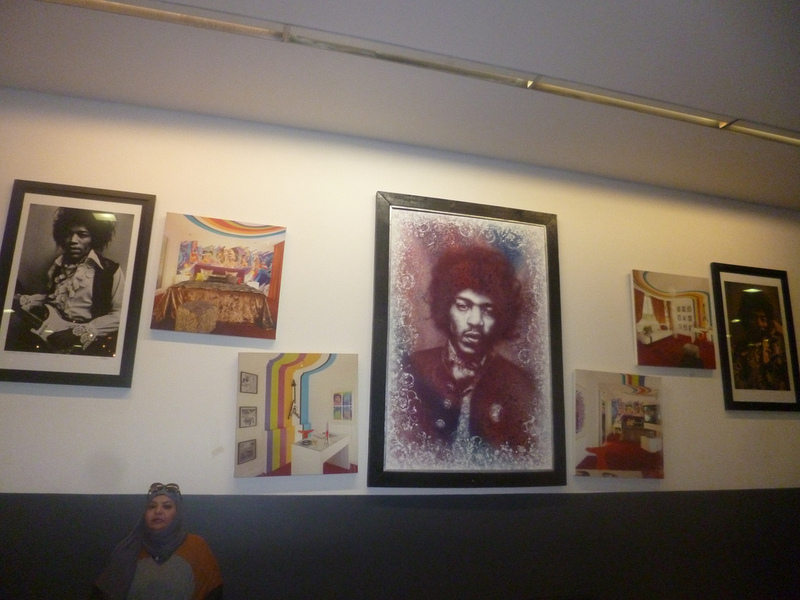 I was pleased to learn that this was Jimi Hendrix's last official London address and there is an interesting art tribute to him in the lobby directly behind the Trafalgar desk where reps are there to answer any question their visitors might have about anything from when the coach is leaving to converters for American electronics! My first day in England, I badly needed a nap just because of the five hour time difference between the UK and New York. At four pm, Trafalgar held one of its fun orientation parties at a lovely gastropub called the Grazing Goat (6 Quebec Street) which was only a six or seven minute walk from the Cumberland. Anyone taking a Trafalgar tour gets to have an orientation event. Because I was press, my party and myself were greeted by Gavin Tollman, the CEO of Trafalgar and Clive Owen lookalike. 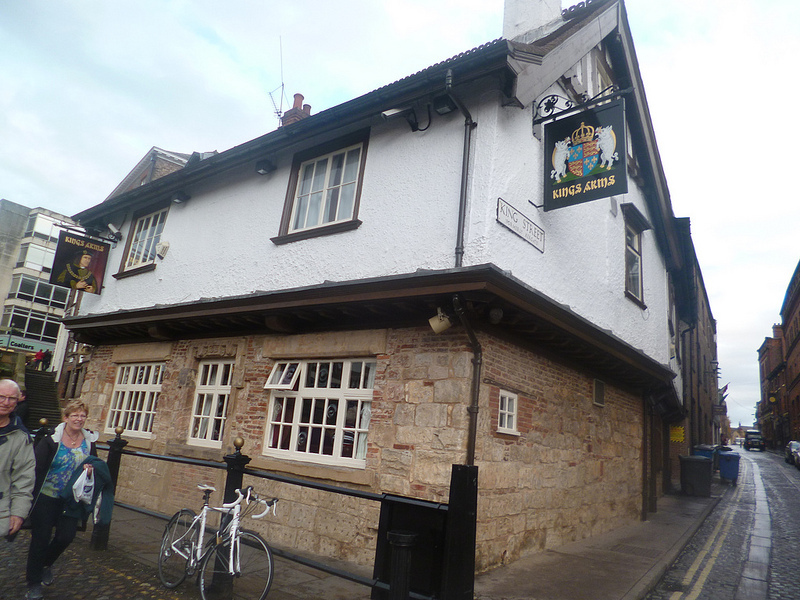 The pub was quaint but had a modern flair and certainly high end cuisine. We toasted with excellent sparkling wine that came from--of all places--Kent, which we would be visiting in a couple of days. 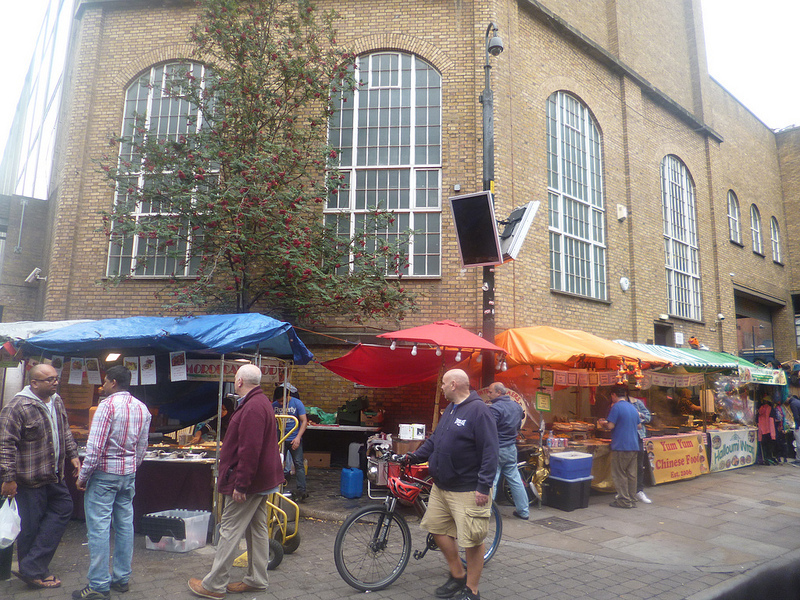 The next day was spent on a guided tour of the Spitalfields neighborhood in East London. Trafalgar gave us the choice of checking out King's Cross or East London, so I took the trendier option and I was not disappointed. I saw numerous antique stores and trendy clothing boutiques (including one owned by American actress Mischka Barton) but I fell in love with the marketplaces filled with exotic foods. All the "eats" were spicy and colorful and more than a dozen countries were represented. I only wish that the New York street fairs had food this authentic! The same day I had tea at The Chesterfield at 35 Charles Street in Mayfair and it was as elaborate and special as any English tea time you could imagine. It was hard to get through three tiers of traditional English tea sandwiches and more than 20 dessert bites including eclairs, scones and macrons. The Chesterfield is traditional and tea for more than 20 is served in a private area of the dining room. Tea at the Chesterfield is an option offered on all Trafalgar Tours that go through London, and I highly recommend it for its authenticity and white glove service. That night I was free to have dinner anywhere I wanted so I chose the Red Sun, a quaint seven table Chinese restaurant close to the Grazing Goat at 2A Quebec Street. I also snuck in some great Oxford Street shopping (also very close by to the Cumberland). The third day of my Trafalgar Tour had me bidding adieu to London after one of the Cumberland's hearty breakfasts and getting in the First Class cabin of a Virgin Train to Liverpool. To say the service in Virgin Trains’ first class cabin is attentive is an understatement. We were served Curry Coriander Soup and various sandwiches and snacks. 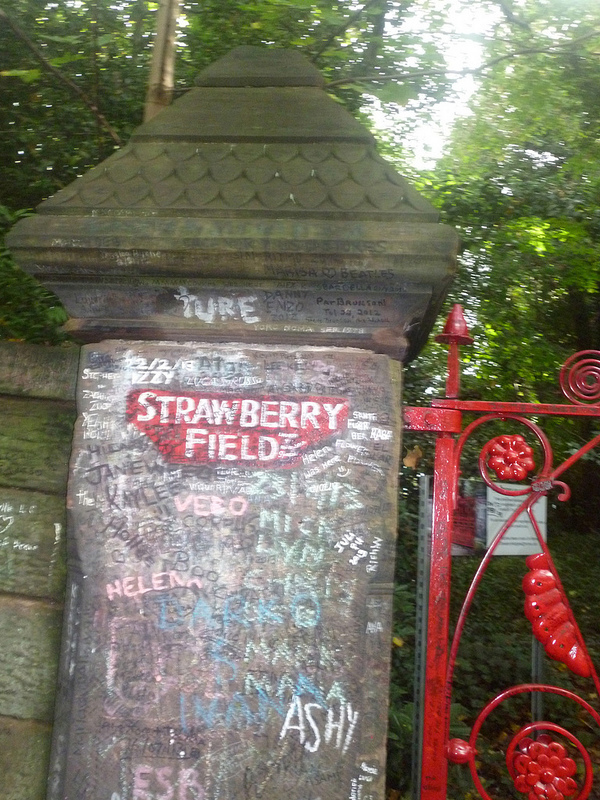 The attendants were knowledgeable about Liverpool so we got some recommendations on where to eat and hang out…but I mainly was interested in doing a Beatles Tour. We went on one shortly after checking into the Marriott Liverpool at 1 Queen Square near the largest shopping mall in town. We got to have dinner in the fancy Malmaison, a posh local eatery inside the hotel of the same name at 7 William Jessop Way which serves fine French/ Mediterranean/fusion cuisine right on the banks of the Mersey River. 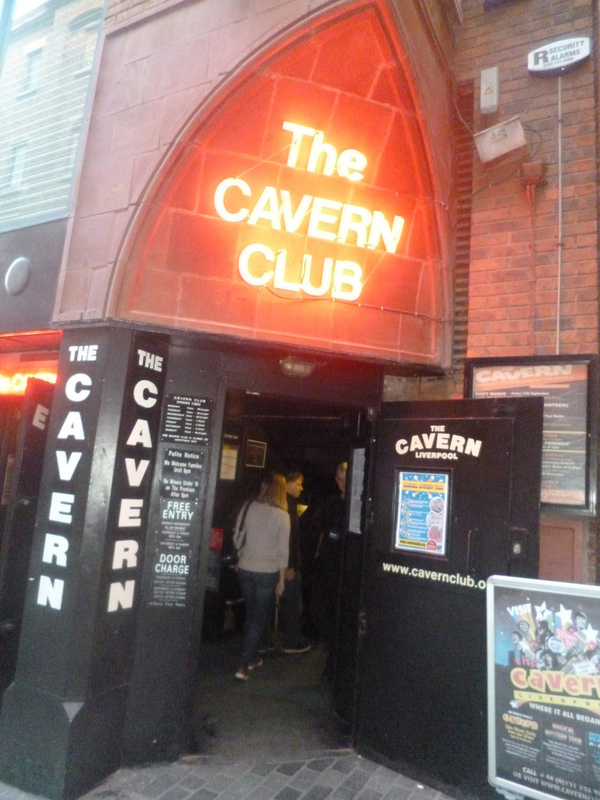 It was an unforgettable meal and many of the folks on my tour went back to the Cavern afterwards for a few drinks and to see an all-girl Beatles tribute band. The next day we were up bright and early to go to York (yes, it is really the home of the York Peppermint Patty and Kit Kat Bar as well)! I snuck in an hour of shopping before getting on the Trafalgar coach. 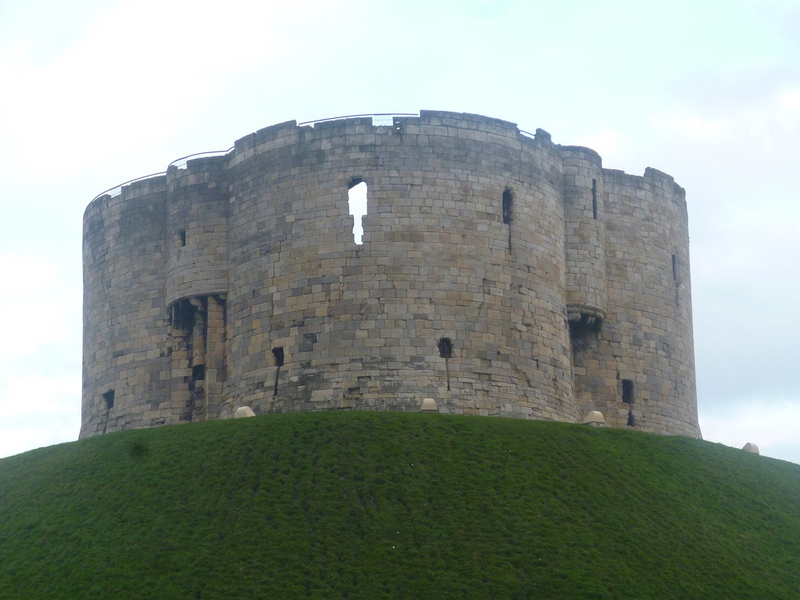 While we didn't tour the Nestle factory where York Peppermint Patties are made, we did get to stay at the wonderful York Hilton which is directly behind the wonderful 915-year-old Clifford's Castle. The remnants of this Norman castle can be climbed up via a staircase at the side, but unless you are in super shape, you have to take it slowly. The amount of stairs is overwhelming but so is the view of the castle. The Hilton is right in the middle of this quaint town, which has numerous pubs, as well as modern day shopping. Every American and English chains tore is here as well as charming mom and pop tea stores and "pasty" shops. We took a special Trafalgar "Be Our Guest" excursion while in York--and that was to have dinner in an aristocratic hall in Huddersfield owned by a family who has an exclusive agreement with Trafalgar to have people over and dine with them. The house, called Whitwell Hall, was built in 1830 and originally been a hunting lodge. 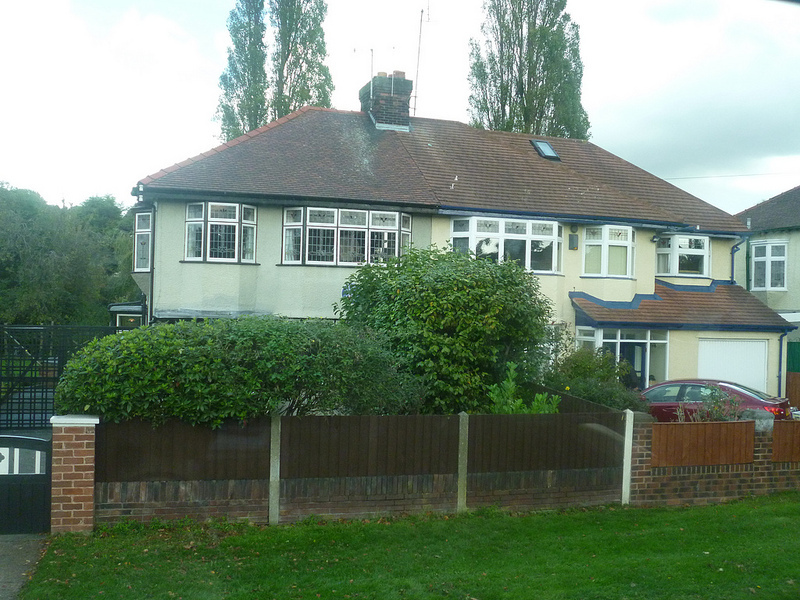 (It is currently worth 10 million pounds and extremely well-maintained.) It struck me as being more like a French Chateau than a classic "English Country Gentleman's" home and it was full of 100s of pieces of extravagant art. The food served by the family and their staff was excellent and it was just nice to discuss the history of the interesting antiques in the house and relax with a drink by the fire but before and after dinner. It’s this type of dining with real residents of different towns that Trafalgar visits that make them a cut above other tours. I would never have been able to visit a place as special as Whitwell Hall if I had never hooked up with Trafalgar! Coming soon: Part 2, Scotland!